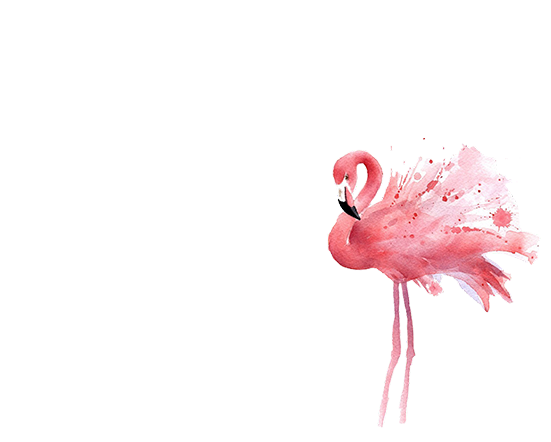 - Times: 12:00 p.m. | 14:30 p.m. | 17:00 p.m.
- See brightly coloured and smart birds. - Not to be missed free admission. abilities. This show is approximately 20 minutes long and we would advise to arrive at the amphitheatre 5 mins before show starts as door will close 5 minutes after the stated time. 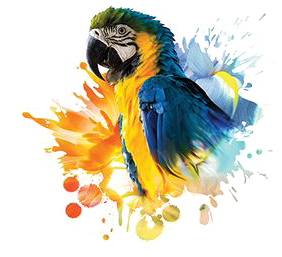 The display start off with our multi-coloured macaws doing an amazing flying display followed by these birds showing you just how clever they are. We then introduce so other birds species finished off with our favorite owl species. OUR BIRD SHOW IS ON EVERYDAY. Our display takes place 3 time per day every day, so no matter what time or day you visit you should be able to catch it. 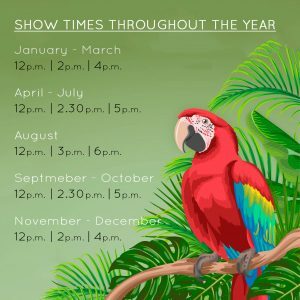 As you can see the times vary throughout the year so please ensure you check at the Zoo entrance what the times are so that you don’t miss out. The show roughly stays the same throughout the year although we do like to bring in new birds and change things around. We can also have surprise visit from other animals that inhabit our Zoo. displays by our very talented birds. We even have a movies stars!